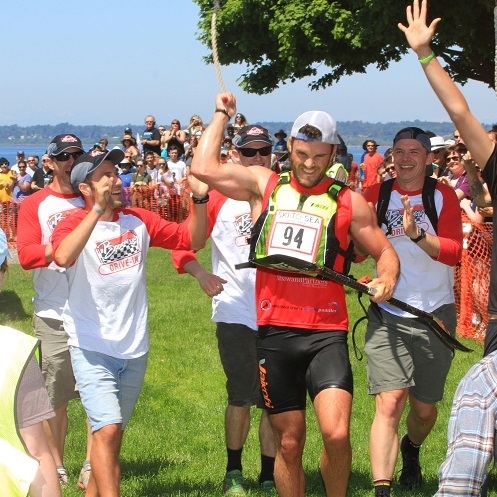 Although not technically a Leg of the Ski to Sea Race, there is a lot of fun and celebration to be had at the Finish Line of the Race in Marine Park. 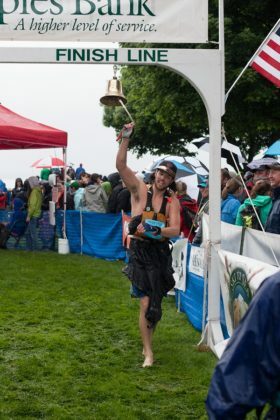 From the large Spectator Area, you can watch a kayaker hop out of their kayak and run up the hill to the finish line and ring the famous bell after their legs have fallen asleep. The foot of Harris Avenue in Fairhaven is where everyone gathers after the race for food and fun for the entire family. 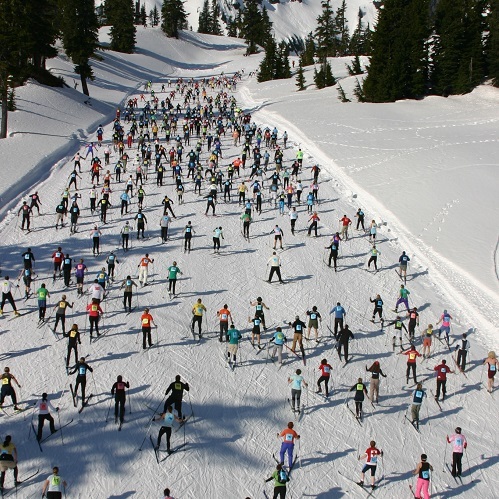 Don’t fight traffic on Ski to Sea Sunday. 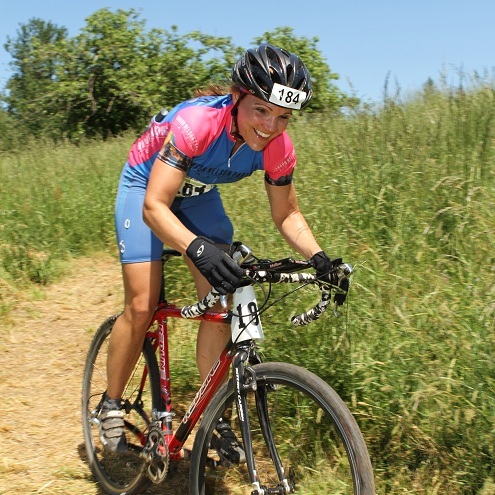 We encourage people to use public transportation, walk or ride their bikes to Fairhaven. There is a WTA shuttle running between Western Washington University’s C lot on Bill McDonald Parkway at West College Way to Fairhaven. Shuttles will leave the lot every 15 minutes starting at 11:30 am race day. There is a pay parking lot across from the Ferry Terminal on Harris. 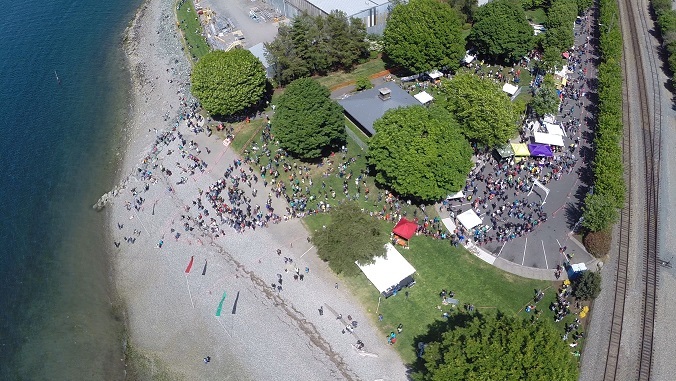 We hope you enjoy watching our local athletes compete in the Ski to Sea Race. The 2019 Award Ceremony begins at 5pm. 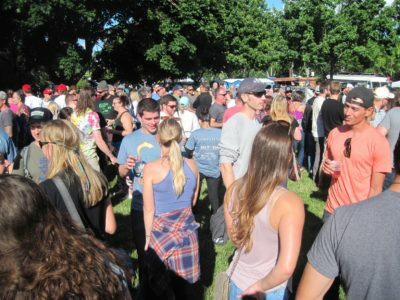 Bellingham’s longest operating Brewery will supply four beers on tap in the Beer Garden, including a brand new Race Day IPA (14°P OG | 55 IBU | 6% ABV) brewed especially for Ski to Sea. They will also offer a Pale Ale, Blonde and Scotch on tap. Lost Giants Cider and Samson Estate Wine will also be available. Cheers! PLEASE NOTE: DOGS ARE NOT ALLOWED IN THE BEER GARDEN. Be sure to stop by the Ski to Sea booth to purchase your 2019 shirt, hoodie or hat as well as shirts from years past. Pint glasses are also available. Have questions while at Marine Park? 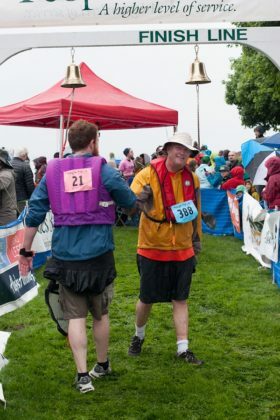 Ski to Sea personnel will be on hand to answer questions, just look for the Ski to Sea tent or check-in at the volunteer tent. 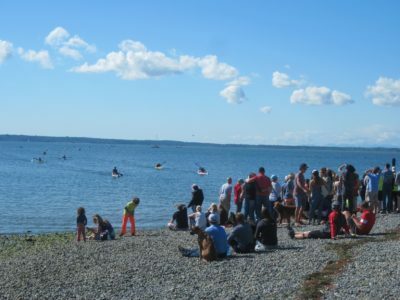 Don’t miss the opportunity to take a team picture with the gorgeous Bellingham Bay as a backdrop. 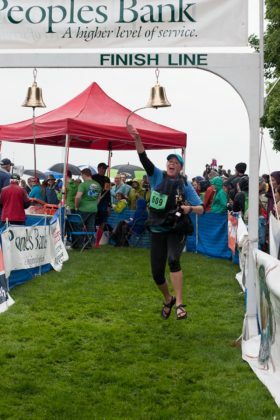 If you want to volunteer for the Finish Line of the race, please email us at volunteer@skitosea.com.